Fridays are already pretty damn awesome. Then Wyrd steps in with their regular Friday previews and things just get awesome-er. Hey, no red, squiggly line under it means that's a real word. 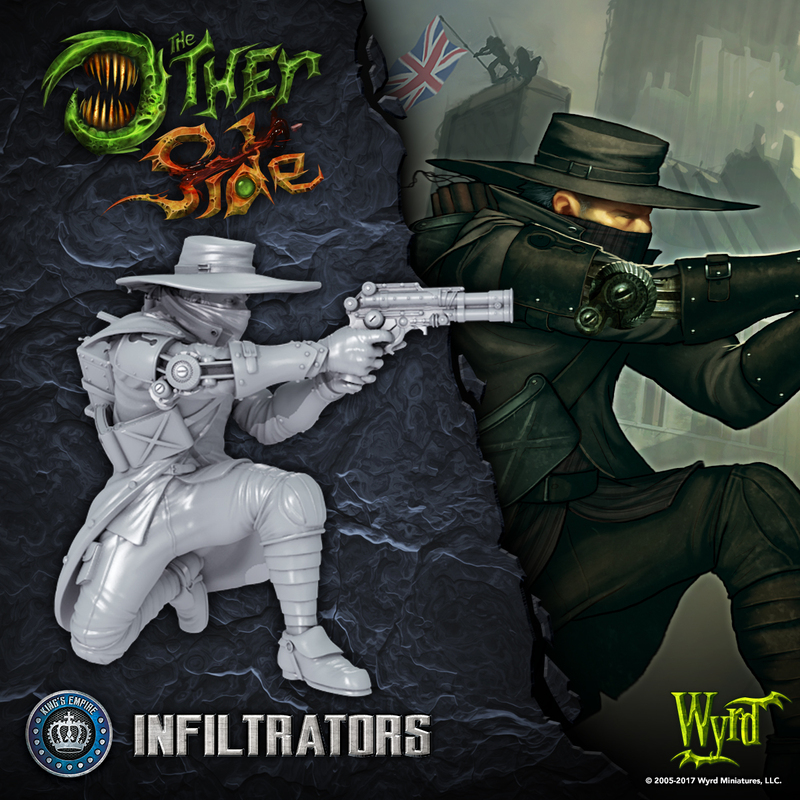 Anyway, they continue their look at The Other Side with a preview of the Infiltrators. When the King's Empire needs to get information without their enemies knowing, they send in the Infiltrators. They'll get the job done right. Every nation on Earth makes use of diplomats and spies, but few do it as well as the King’s Empire. The Infiltrators are the Empire's light combat stealth unit, trained in part by his Majesty’s spies and in part by the military. This grants them a tactical flexibility on the battlefield that many military forces lack.